Social Media are wonderful when i can share not only good beauty products but also nice food places where you can go there for lunch or dinner. Perfect even on days when you really need a little icecream treats to chill. Yes, the weather is so hot? And Trust me , you gonna melt into every mouthful of Gelato ice cream. My Experience was GREAT and i am craving the food already. 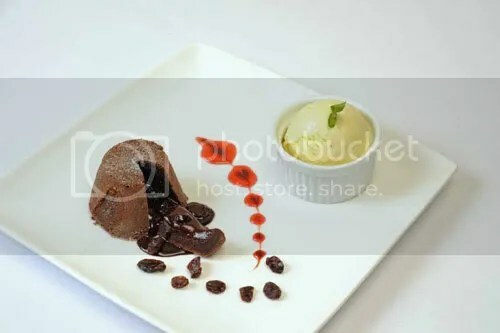 There is lots of unique food, like chocolate molten with rum cake. dark chocolate gelato, as pure as 80% bitterness sweet. Baffalo wings , Romana Pizza !!! and Calamari Fritti that comes with special tomato sauce and Tom Yam sauce. Not forgetting , a must try pork ribs, not the typical ” PORKY” smell, not the typical hard hard type, it’s tender and just nice. … Talking bout it makes me hungry! 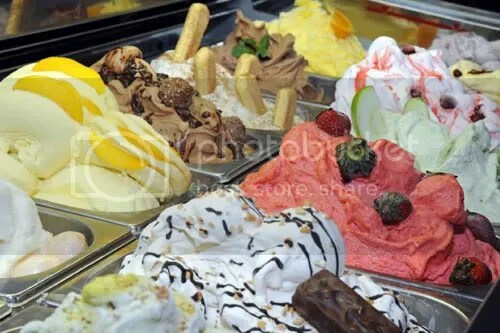 With the mention of Gelato, no one would have thought that they could have it without entering a specialized gelato store, much less have it in a dine-in setting along with premium, freshly made meal courses. 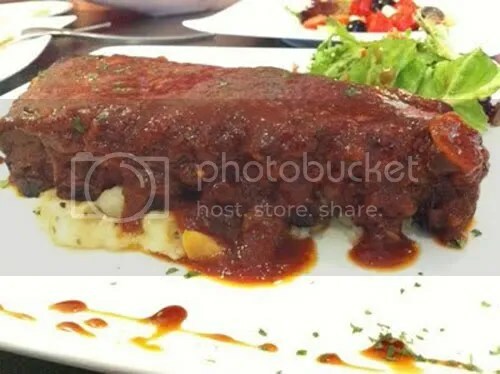 However, tucked snuggly behind Kovan MRT station and opposite Kovan Heartland Mall, that is precisely what Ice Edge Café offers – premium, soft gelato with quality servings of mouth-watering main courses and side dishes. And these are all original gelatos made by Ice Edge Café’s owner, Damien Low and in-house chefs using their own recipes as well as drawing inspirations and ideas from their own customers, catering to their needs and love for gelato! 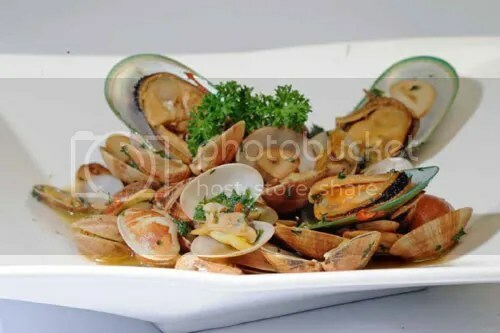 Although small in size, this concept café offers a gastronomical menu range with jaw dropping value prices from $5 to $20. With picks from pastas to steak to salads, Ice Edge Café spoils customers for choice and breaks through the borders of wholesome dining with premium gelato. 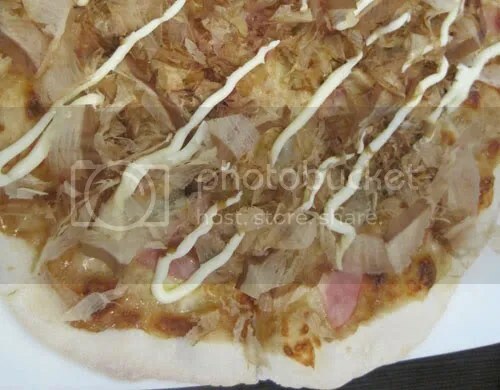 Other delectable treats such as the 10-inch super crispy Romana Pizza (freshly baked thin crust pizza topped with garden fresh mushrooms, baked ham and mozerella cheese), golden crisp Calamari Fritti (choices of Chef’s Tomato sauce and Tom Yam sauce), and Buffalo Wings pepper Ice Edge Café’s recommended dishes list for customers looking for casual dining.Customers with a cravings for palatable meat dishes can also indulge in Ice Edge Café’s signature main course variety such as the Salmon Steak – soft and tender salmon grilled to perfection melts in the mouth with a mild cream butter sauce and potato gratin that complements the naturally salty taste of the fish – and Pesto Cream Chicken – simmered tender boneless chicken thigh marinated with 8 different spices and herbs served with pesto sauce, vegetable pieces, salad, and potato wedges.Smooth Aglio Olio with pressed garlic and fresh seafood, Linguine Marinara with juicy seafood, and Vongole Alle Spaghetti cooked by way of traditional Italian methods are just some of the few popular delights Ice Edge Caféboasts of their pasta variety. 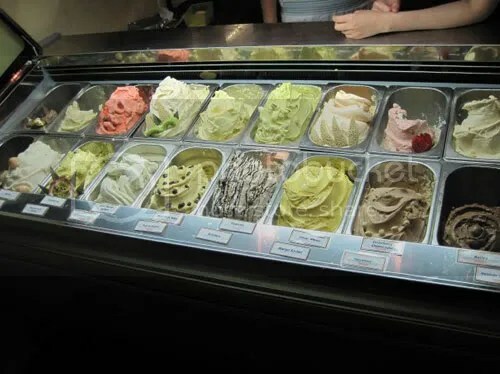 Last but not least, Ice Edge Café completes the dining experience with their signature soft cold Gelato ice cream. Satistifying sweet-tooths from all over, Ice Edge Café offers a bevy of flavours topped with tantalizing embellishments. Popular favourites include Mao Shang Wang flavoured Gelato, Chocolate Lava Cake with Gelato and Waffle with Gelato for those who seek a bite along with the soothing melt of ice cream. 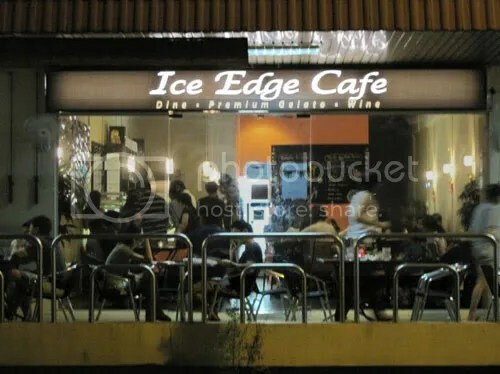 Ice Edge Cafe (12pm – 12am daily)Notwithstanding its cozy location, Ice Edge Café attracts its fair share of popularity with great value, great taste and an icey cool experience.